Chandler confirmed that the proclamation was issued at the request of the Sons of the Confederacy. 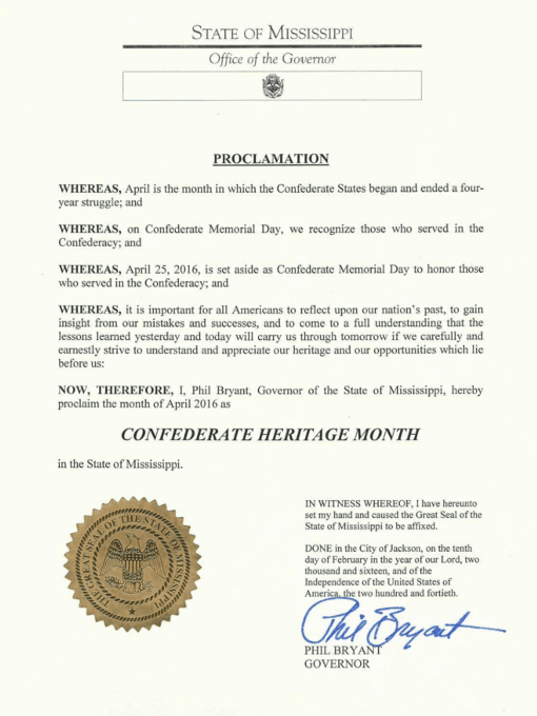 The proclamation notes that April 25, 2016 is set aside for Confederate Memorial Day, which is observed as a state holiday. A similar proclamation from Bryant appeared online in 2012. Mississippi is the last state in the country to fly the Confederate battle flag above its state capitol. Bryant’s proclamation was issued weeks before 19 bills addressing the state flag died in committee. Bryant has gone on record that any change to the state flag must come through public referendum. A 2001 vote solidified the state’s current flag. One of the last things that Jonathan Sanders, an unarmed black man, reportedly said before he died was, “Let me go. I can’t breathe.” On Wednesday night, a white police officer in the small town of Stonewall, Mississippi allegedly strangled Sanders, a 39-year-old black horseman, with a flashlight before killing him in view of his family members. Officer Kevin Herrington pulled Sanders off a horse and choked him with a flashlight, Sander’s attorney, Stewart Parrish, initially told an ABC affiliate. Parrish later clarified that those allegations came from family members who witnessed the death. 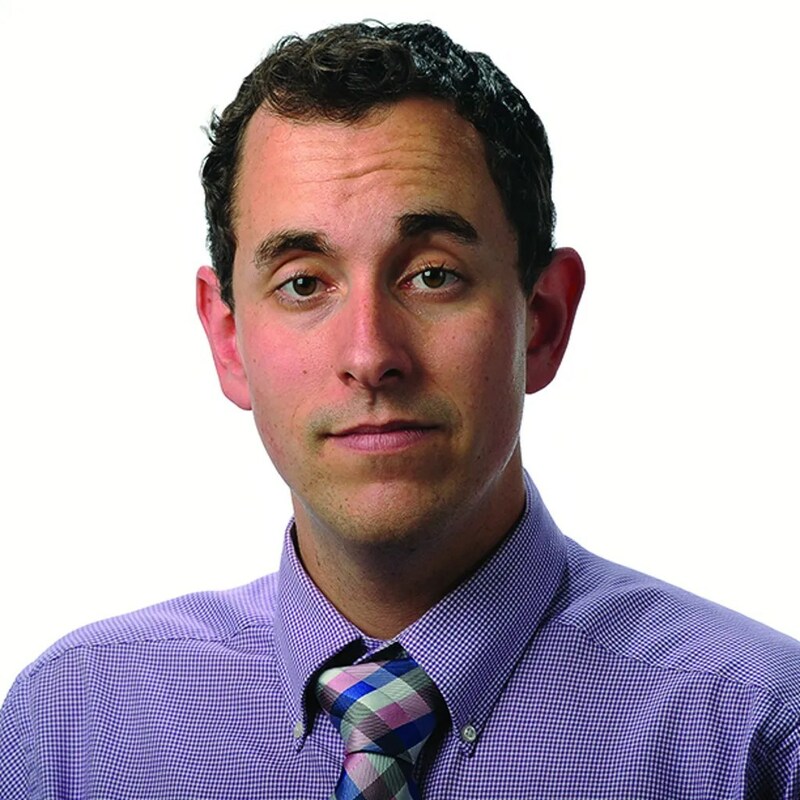 Parrish said that Sanders experienced “some kind of asphyxiation” during the altercation. Sanders died on the scene and leaves behind two children. Sander’s girlfriend, Charita Kennedy, told the ABC affiliate that his horse buggy had the proper lights and that he wasn’t violating any laws. She also said that Sanders told the officer he couldn’t breathe. The Clarion Ledger reported that Sanders had previous encounters with the police. He was once convicted on charges of sale of cocaine in 2003, and was arrested in 2001 for other issues. Of its ten part-time officers, Stonewall’s police department only has one black officer, the Guardian found. The city has 1,444 residents; 77 percent of residents are white and 23 percent are black, according to the U.S. Census Bureau data. The Mississippi Bureau of Investigation has stepped in to investigate the incident. Officer Harrington has been placed on administrative leave with pay. Not much more is currently known about Sander’s death at this time. But the death of an unarmed black man by strangulation seems to recall the death of Eric Garner, who died after he was put in a chokehold last year by officers. Garner’s infamous last words were “I can’t breathe,” which has since become a rallying cry for activists seeking to reform police activity toward people of color. There’s recently been more attention to the problems behind police officers using excessive force. In just the first six months of this year, police have killed at least 550 people — many of whom were unarmed and/or mentally ill. This entry was posted in African-Americans, Jim Crow, Movement for Black Lives, post-racial, Racial Profiling, Racism, Slavery, U.S. and tagged Confederacy, Confederate flag, honoring slave traditions, mississippi, Mississippi Governor Phil Bryant, police brutalist, police killings, Race, racism, shameless racism, white supremacy. Bookmark the permalink.